3.2 Billion people out of the World’s 7.4 Billion people will be online by the end of 2015. Interestingly, 2 Billion people of the 3.2 Billion will be from the developing economies. This is based on a report released by The International Telecommunication Union (ITU), a body of the United Nations. This marks a significant growth in the numbers of global internet users which stood at 400 Million users in 2000 which is a 7-fold growth from 6.5% to 43%. One key driver for the increased penetration has been the uptake of cellular devices which stands at 97% with 7 Billion mobile devices up from 738 million devices in year 2000. 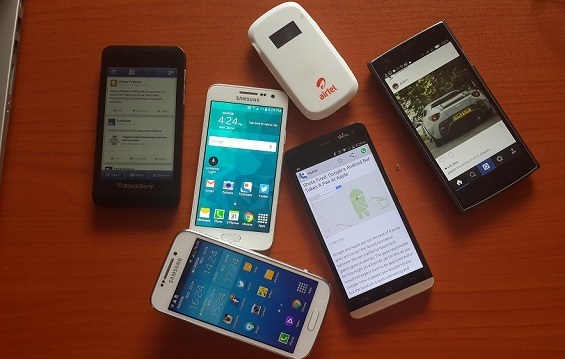 The uptake has led to a mobile broadband penetration of 47% in 2015 which is a 12 fold increase from 2007. The proportion of the population covered by 2G mobile network has grown to 95% in 2015 from 58% in 2001. 69% of the global population is currently covered by 3G network, with 89% of the coverage mainly in urban areas. Even with these statistics, 4 billion people or 2/3 of the population from the developing countries are still offline. Of the 940 million people living in the least developed countries only 89 million use the Internet, translating to a 9.5% penetration. Internet penetration in the developing stands at 35% which means for every Internet user in the developed world there are 2 in the developing world. 20.7% of the African Population uses the internet which is the lowest against a global average of 43.4%. Mobile broadband penetration is at 17% while the global average stands at 47%. Kenya on the other hand is above both the global and African average with internet penetration at 54.8% of the population or 22.3 million Internet users. This uptake is attributed to increased affordability of Internet services as provided by ISPs, growth of E-commerce, use of the internet for utility services such as online reading of newspapers, online banking services and e-government services such as online renewal of driving licenses.